In a word? GULP! 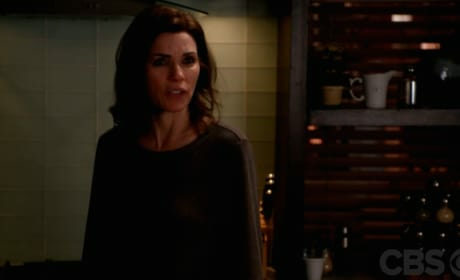 Check out this clip from The Good Wife Season Season 6 Episode 14. Prepare for a great deal of hurt, Good Wife fans. So teases this emotional preview for the end of Season 5. 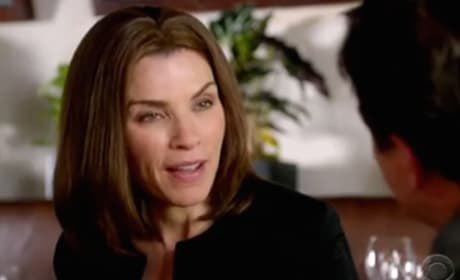 Go behind the scenes with The Good Wife in this CBS video and learn why Will Gardner was killed off, along with what impact it will have on characters going forward. 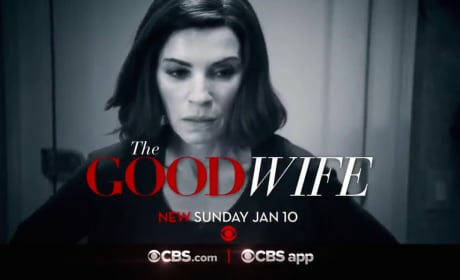 The Good Wife Promo: "Hitting the Fan"
It's all come out on The Good Wife. The fallout from Alicia and Cary's plans is at the center of "Hitting the Fan." 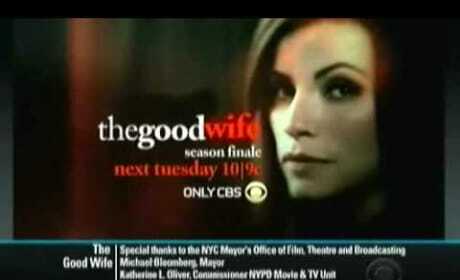 The Good Wife Season 4 gets underway on September 30. Check out an amazing trailer teasing all that's ahead now! The firm considers taking on a Nobel Peace Prize winner this week, while Eli and Peter try to figure out what Wendy's candidacy means for them. Check out the CBS preview for "VIP Treatment." Will Alicia stand by Peter? Or make things happen with Will? 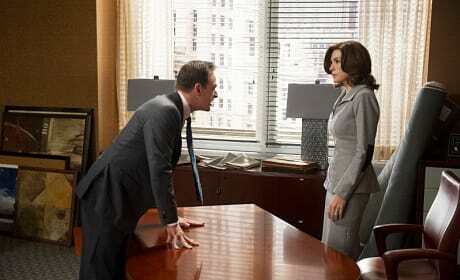 That's the dilemma she faces on the season finale of The Good Wife. She has the job, but the obstacles for Alicia are just starting. So teases this promo for "Hybristophilia." You gotta see where Cary ends up. Paige Turco guest stars this week on The Good Wife. She plays the wife of a legendary rocker, who Alicia defends. Alicia also receives news about the firm's junior associate spot. No, at a certain point, it has to be over. Judgments must stand. God forgive me, I find for the state. The execution will proceed.